The theories of British physicist and mathematician Stephen William Hawking (born 1942) placed him in the great tradition of Newton and Einstein. Hawking made fundamental contributions to the science of cosmology--the study of the origins, structure, and space-time relationships of the universe. Stephen W. Hawking was born on January 8, 1942, in Oxford, England. His father, a well-known researcher in tropical medicine, urged his son to seek a career in the sciences. Stephen found biology and medicine too descriptive and lacking in exactness. Therefore, he turned to the study of mathematics and physics. Hawking was not an outstanding student at St. Alban's School, Hertfordshire, nor later at Oxford University, which he entered in 1959. He was a sociable young man who did little schoolwork because he was able to grasp the essentials of a mathematics or physics problem quickly and intuitively. While at Oxford he became increasingly interested in relativity theory and quantum mechanics, eventually graduating with a first class honors in physics (1962). He immediately began post-graduate studies at Cambridge University. The onset of Hawking's graduate education at Cambridge marked a turning point in his life. It was then that he embarked upon the formal study of cosmology that focused his intellectual energies in a way that they had never been previously. And it was then that he was first stricken with amyotrophic lateral sclerosis (Lou Gehrig's disease), a debilitating neuromotor disease that eventually led to his total confinement to a wheelchair and to a virtual loss of his speech functions. At Cambridge his talents were recognized by his major professor, the cosmologist Dennis W. Sciama, and he was encouraged to carry on his studies despite his growing physical disabilities. His marriage in 1965 to Jane Wilde was an important step in his emotional life. Marriage gave him, he recalled, the determination to live and make professional progress in the world of science. Hawking received his doctorate degree in 1966 and began his life-long research and teaching association with Cambridge University. Hawking made his first major contribution to science with his theorem of singularity, a work which grew out of his collaboration with theoretician Roger Penrose. A singularity is a place in either space or time at which some quantity becomes infinite. Such a place is found in a black hole, the final stage of a collapsed star, where the gravitational field has infinite strength. Penrose proved that a singularity was not a hypothetical construct; it could exist in the space-time of a real universe. Drawing upon Penrose's work and on Einstein's General Theory of Relativity, Hawking demonstrated that our universe had its origins in a singularity. In the beginning all of the matter in the universe was concentrated in a single point, making a very small but tremendously dense body. Ten to twenty billion years ago that body exploded in a big bang which initiated time and the universe. Hawking was able to bring current astrophysical research to support the big bang theory of the origin of the universe and refute the rival steady-state theory. Hawking's research into the cosmological implications of singularities led him to study the properties of the best-known singularity: the black hole. Although a black hole is a discontinuity in space-time, its boundary, called the event horizon, can be detected. Hawking proved that the surface area of the event horizon of a black hole could only increase, not decrease, and that when two black holes merged the surface area of the new hole was larger than the sum of the two original surface areas. Working in concert with B. Carter, W. Israel, and D. Robinson, Hawking was also able to prove the "No Hair Theorem" first proposed by physicist John Wheeler. According to this theorem, mass, angular momentum, and electric charge were the sole properties conserved when matter entered a black hole. Hawking's continuing examination of the nature of black holes led to two important discoveries. The first of them, that black holes can emit thermal radiation, was contrary to the claim that nothing could escape from a black hole. The second concerned the size of black holes. As originally conceived, black holes were immense in size because they were the end result of the collapse of gigantic stars. Using quantum mechanics to study particle interaction at the subatomic level, Hawking postulated the existence of millions of mini-black holes. These were formed by the force of the original big bang explosion. Hawking summarized his scientific interests as "gravity--on all scales," from the realm of galaxies at one extreme to the subatomic at the other extreme. In the 1980s Hawking worked on a theory that Einstein unsuccessfully searched for in his later years. This is the famous unified field theory that aims to bring together quantum mechanics and relativity in a quantum theory of gravity. A complete unified theory encompasses the four main interactions known to modern physics: the strong nuclear force, which operates at the subatomic level; electromagnetism; the weak nuclear force of radioactivity; and gravity. The unified theory would account for the conditions which prevailed at the origin of the universe as well as for the existing physical laws of nature. When humans develop the unified field theory, said Hawking, they will "know the mind of God." As his physical condition grew worse Hawking's intellectual achievements increased. Not content with causing a revolution in cosmology, he presented a popular exposition of his ideas in A Brief History of Time: From the Big Bang to Black Holes. First published in 1988, this book acquired great popularity in the United States. It sold over a million copies and was listed as the best-selling nonfiction book for over a year. In 1993 Hawking wrote Black Holes and Baby Universes and Other Essays, which, in addition to a discussion of whether elementary particles that fall into black holes can form new, "baby" universes separate from our own, contains chapters about Hawking's personal life. He co-authored a book in 1996 with Sir Roger Penrose titled The Nature of Space and Time, which is based on a series of lectures and a final debate by the two authors. Issues discussed in this book include whether the universe has boundaries and if it will continue to expand forever. Hawking says yes to the first question and no to the second, while Penrose argues the opposite. Hawking joined Penrose again the following year, as well as Abner Shimony and Nancy Cartwright, in the creation of another book, The Large, the Small, and the Human Mind (1997). In this collection of talks given as Cambridge's 1995 Tanner Lectures on Human Values, Hawking and the others respond to Penrose's thesis on general relativity, quantum physics, and artificial intelligence. 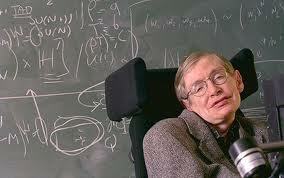 Hawking's work in modern cosmology and in theoretical astronomy and physics was widely recognized. He became a fellow of the Royal Society of London in 1974 and five years later was named to a professorial chair once held by Sir Isaac Newton: Lucasian professor of mathematics, Cambridge University. Beyond these honors he earned a host of honorary degrees, awards, prizes, and lectureships from the major universities and scientific societies of Europe and America. These included the Eddington Medal of the Royal Astronomical Society, in 1975; the Pius XI Gold Medal, in 1975; the Maxwell Medal of the Institute of Physics, in 1976; the Albert Einstein Award of the Lewis and Rose Strauss Memorial Fund (the most prestigious award in theoretical physics), in 1978; the Franklin Medal of the Franklin Institute, in 1981; the Gold Medal of the Royal Society, in 1985; the Paul Dirac Medal and Prize, in 1987; and the Britannica Award, in 1989. By the last decade of the 20th century Stephen Hawking had become one of the best-known scientists in the world. Hawking's endeavors include endorsing a wireless connection to the internet produced by U.S. Robotics Inc., beginning in March 1997, and speaking to wheelchair-bound youth. In addition, Hawking made an appearance on the television series Star Trekthat his fans will not soon forget. When asked about his objectives, Hawking told Robert Deltete of Zygon in a 1995 interview, "My goal is a complete understanding of the universe, why it is as it is and why it exists at all."